I don’t think I’ve ever reviewed a free jazz record before. It’s certainly the sort of thing that’s tough to pin down in writing – it’s not easy to break it down into smaller parts. 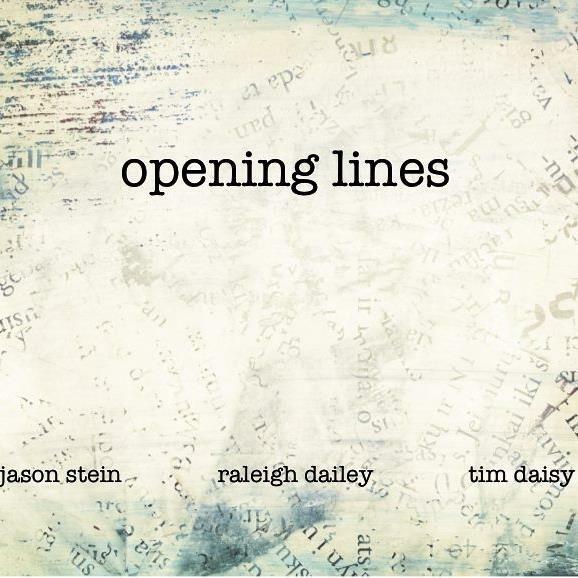 That said, this new album by Jason Stein, Raleigh Dailey, and Tim Daisy is one that listens well from beginning to end – it feels much like one might expect a live performance to feel like. Jason Stein and Tim Daisy are both big players in the Chicago free jazz scene – Stein performs exclusively on bass clarinet, and Tim Daisy on percussion. Raleigh Dailey, a Lexington-based pianist, is Associate Professor of Jazz Studies at the University of Kentucky. The tracks on this album range in sound from fast, loud, and busy washes of cacophony to quieter, more restrained, and more contemplative murmured conversations between the three musicians. The second track, “In the Shape of a Pig,” is a patient exercise in quietness, filled with scrapes on piano strings, pitter patter on gongs and drums, and throaty flutters on the bass clarinet. Perhaps my favorite of the album is track four, “Against the Gray,” which is a lengthy, gradual escalation from calmness to chaos, and shows off the talent of each of the three musicians very well. Generally speaking, I’m not always able to enjoy recordings of free impov – it’s the kind of music tends to make more sense to me, and tends to have a greater emotional impact when I hear it performed live. Opening Lines feels spontaneous, the musicians sound very well in-sync with one another, and it translates the atmosphere of a live performance better than most free improv albums I’ve heard, and is all the better album because of it. If you’re a fan of free improv (or even if you’re not, and you’re just feeling a little adventurous), I would certainly recommend giving this a try.